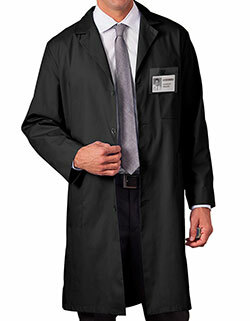 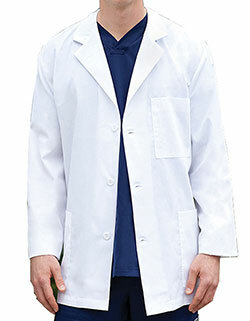 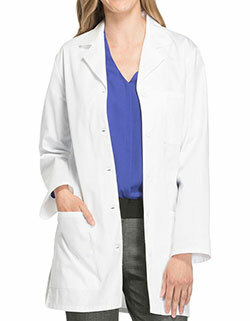 This 32-inch short medical lab coat in White is from Barco Uniforms' Grey's Anatomy collection in a chic junior fit, a classic notched lapel collar, long set-in sleeves and four-button closure. 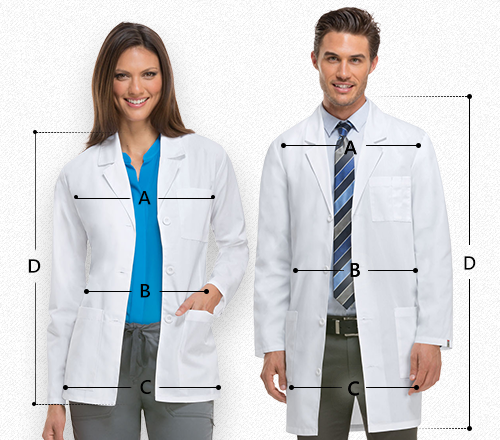 With two large lower patch pockets and single chest pocket with a pen holder for small personal belongings. 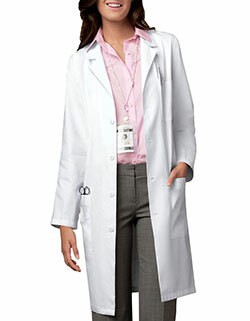 It has a uniquely embroidered heart line at the button front. 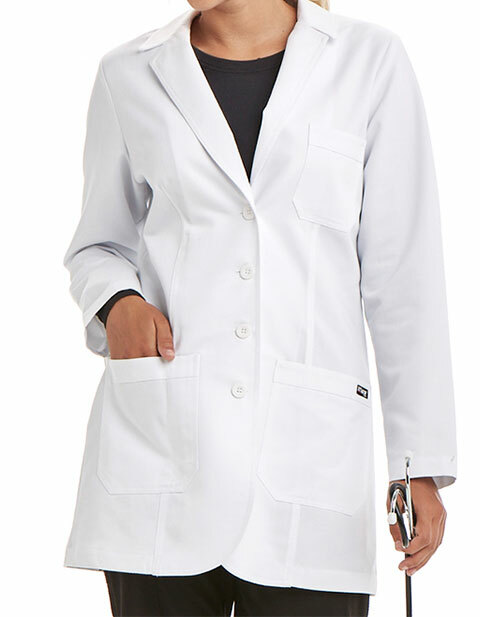 The back has pleats and a center belt detail with two buttons and it’s made of 60% polyester and 40% cotton peached twill.